Have you ever been concerned about what impact your home has on the environment? In fact, every kitchen in the UK adds to the nation’s environmental load. 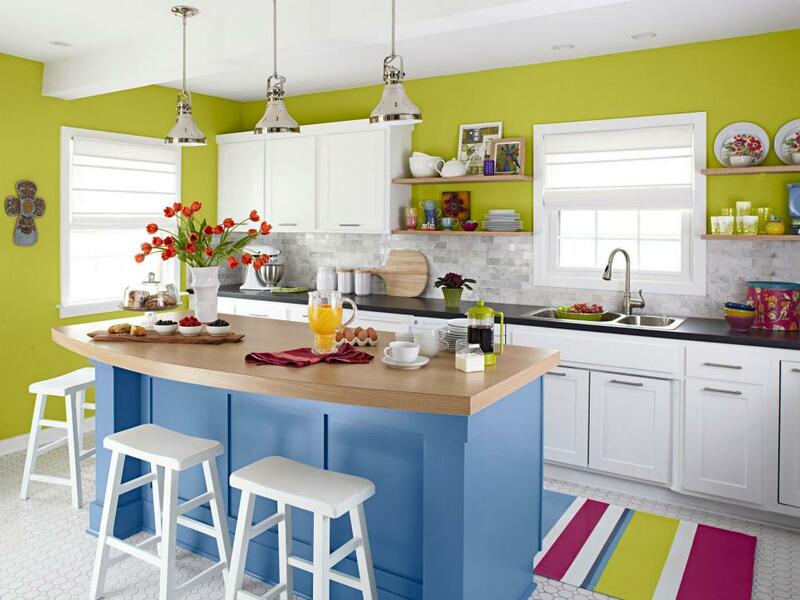 But there are certain things you can do to make your kitchen and kitchen design more environmentally friendly, energy efficient and less wasteful. For this purpose, here are five ways you can ‘go green’ in your kitchen, starting today. It has been estimated that washing a load of dishes in the dishwasher uses 37 per cent less water than having it washed by hands. However, if you use one side of your sink filled with soap water and other with rinse water, without running the faucet, you will be using half as much water as a dishwasher does. People using dishwasher wait until they have a full load to run it. Having run one full load consumes a lot less energy and water than running two half-filled loads. Nowadays, many dishwashers have an ‘economy’ cycle option that is specifically designed to save energy and water. Instead of heating up a full-size oven for cooking smaller meals, you can switch to toaster oven, small convection oven, microwave or slow cooker. These alternatives consume 30 per cent less energy. Microwave ovens consume 50 per cent less energy than many convectional ovens. Moreover, using oven during summers brings less heat in the house, which in turn means that you would need less air-conditioning. If you use the stove top for most of your cooking, then we suggest you think about what food you will be cooking. Then, you can use the smallest pan or pot necessary and sufficient enough to get the job done. It is even more convenient to match the pan size to the burner size. Browsing in front of the refrigerator and keeping the door open for longer time is a complete waste of energy. Also, there is no harm in making sure that your fridge door has closed securely. To test the rubber-like seal around the refrigerator door, close the door on a £1 bill and then determine how easy it is to pull out. If the £1 bill is easily pulled out, chances are that your refrigerator door is leaking cold air. Get the seal repaired or replaced as soon as possible. On the other hand, older appliances are usually the real energy hogs. So we suggest you to see how much exact space you have and get energy efficient model that will fit all your needs. Always remember that having to run a large refrigerator is usually more efficient than running two smaller ones. Instead of getting caught between whether to use plastic or paper, why not invest in some reusable canvas bags? The key is to keep the bags in your car. Once you are done unpacking your groceries, leave the empty bags by your main door and take them with you the next time you go to your car. And even if you use the plastic or paper bags for your shopping, you can always bring them back with you on your next trip instead of buying new ones. Keep this in mind, the less packaging you buy, the less garbage you will be creating. Thus, it is always wise to avoid excess packaging. For instance, buy larger bottles of juices instead of small juice boxes. The larger the sizes of products you buy instead of individually wrapped ones, the less garbage you create. On the other hand, it is also worth considering buying items such as nuts and beans in bulk from a health food store. We know how difficult it is to avoid food packaging. But if you find yourself with boxes and plastic trays, make sure that you also recycle them. The worst packages in the grocery store history are the cans that cannot be recycled or even reused, such as pressurised whipped cream cans and cooking spray cans. It is better to whip up cream fresh with your mixer than using these products. Also, instead of using cooking spray cans, get some refillable metal or plastic oil sprayers.